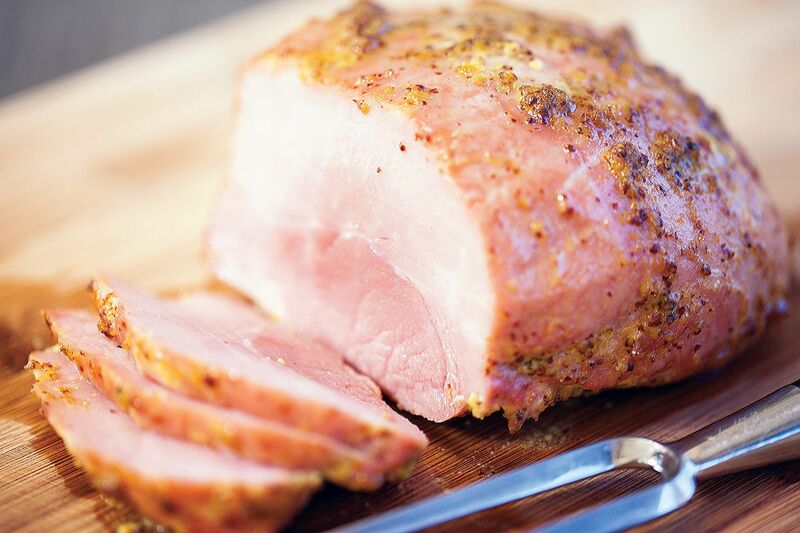 The smell, the taste and that delicious honey mustard coating on this ham! That's what makes this recipe so awesome, serves four people. 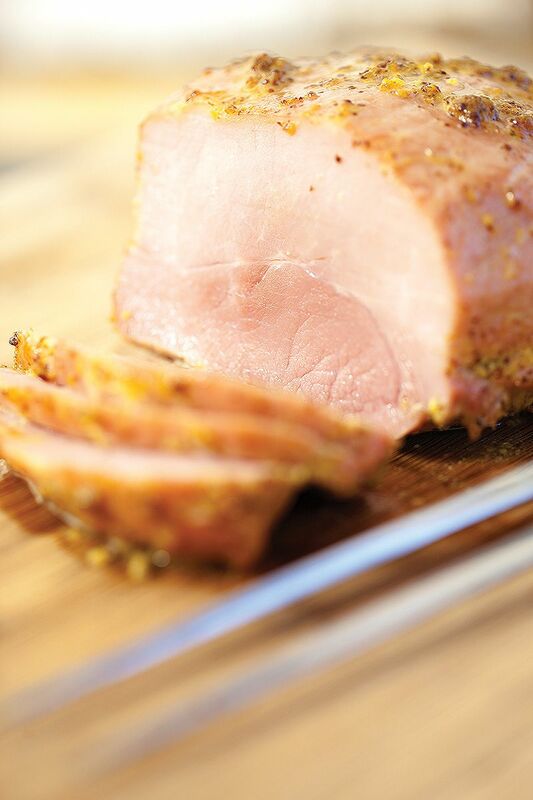 It’s all about the ham, so let’s not fiddle about too much with the coating. USE your hands to scoop out a few tablespoons of whole grain mustard. COAT the ham entirely using the mustard, make sure you covered all of the areas of the ham. If you need more mustard, just add more. Since this is not a precise recipe, you can just eyeball it. 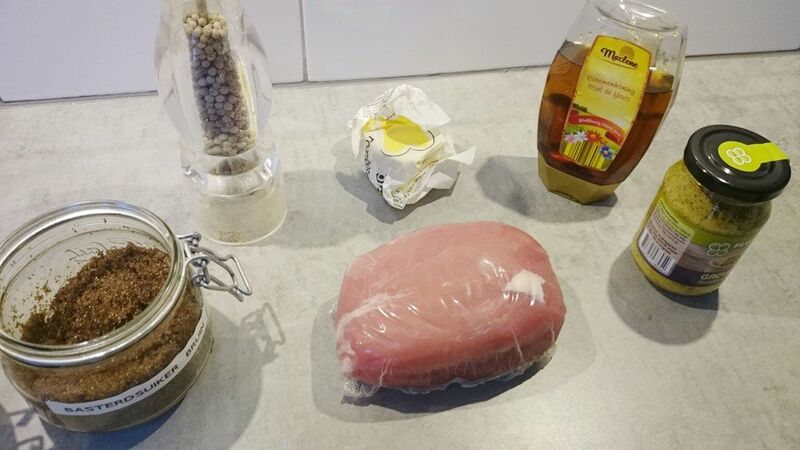 When the ham has been coated entirely, start making the honey and sugar sauce. HEAT up a small saucepan on low heat. Add 1/2 a stick of butter to the pan, and let melt gradually. When the butter has melted, turn up the heat just a little bit and add in 2 tablespoons of brown sugar and a big squeeze of honey. Keep whisking from this point on. If you stop, the sugar won’t fuse with the butter and you’ll end up with a saucepan full of burnt sugar. 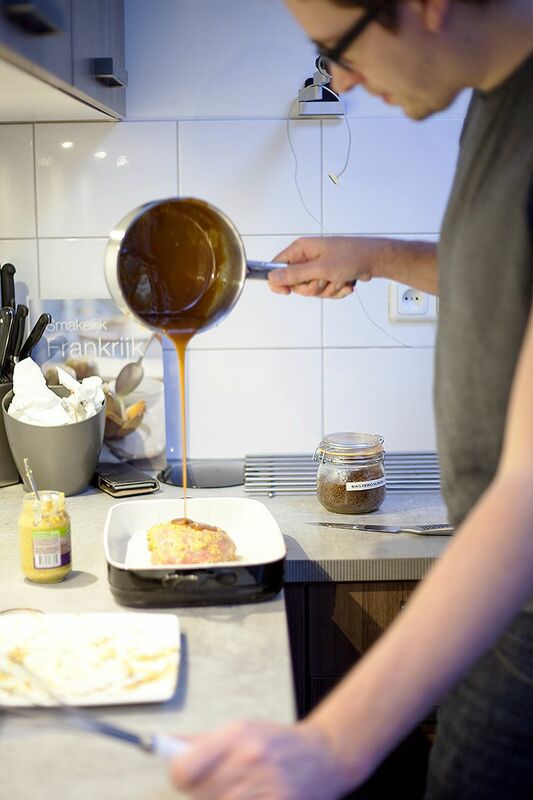 Stop whisking when a slightly thick sauce forms. This can take up to 5 minutes, so don’t give up just yet! This will be our last coating on the ham! Turn the heat all the way down to keep the sauce liquid. Grab the baking dish, grease it with some butter and place the ham in the middle. Pour over the honey and brown sugar sauce all over the ham. See me (Marco) doing exactly that in the picture below, haha! Season with some freshly ground (black) pepper. Here’s the tricky part, actually cooking the ham. To achieve this, we will be using an oven. PRE-HEAT the oven to a temperature of 180 degrees celsius or 350 degrees fahrenheit. When the oven has reached this temperature, place the ham inside the oven. Keep baking the ham until it has reached an internal temperature of exact 53 degrees celsius 128 degrees fahrenheit. Don’t let the ham be more than 63 degrees celsius 155 fahrenheit. 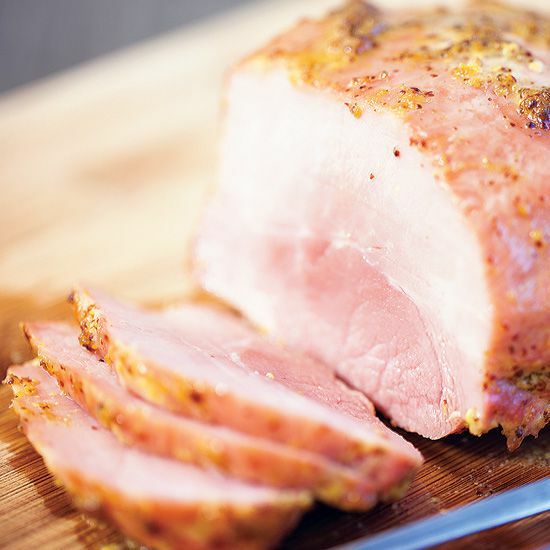 The ham will taste very dry if you let it heat up too much for too long, so keep this in mind. Check regularly. Serve immediately, slice into thin slices and enjoy!